Shoes and Women – They cannot be separated. Whoever invented shoes may be the most genius fellow in the world as a pair of good shoes would make a woman look slimmer and elegant. Women can never get enough with just a pair of shoes because we love having more than just a pair of shoes to fit with our stylish demand. In fact, a pair of good shoes means they have to be functional but has that stylish look, too! We often find ourselves staring at some Hollywood celebrities’ shoes especially when they appear on red carpets. I know how does it feels because I’m also a ‘shoes-aholic’ (a shoes addict. LOL!). I have found an online store which offers various shoes which have been featured on some famous magazines. They are indeed affordable and most of them are similar to what your celebrities were wearing. Independence Day Sale with 40% Off Nina Originals + Free Shipping! Select Styles Only. Use Code ORIGINALS. Valid 6/29 – 7/5. This show-stopping sandal with lace up ankle strap detailing is a must-have for any fashionista. Pair it with our Seoul earrings and our Merrit clutch for your next event. The Brietta sandal is everything you could wish for in a summer dress shoe. 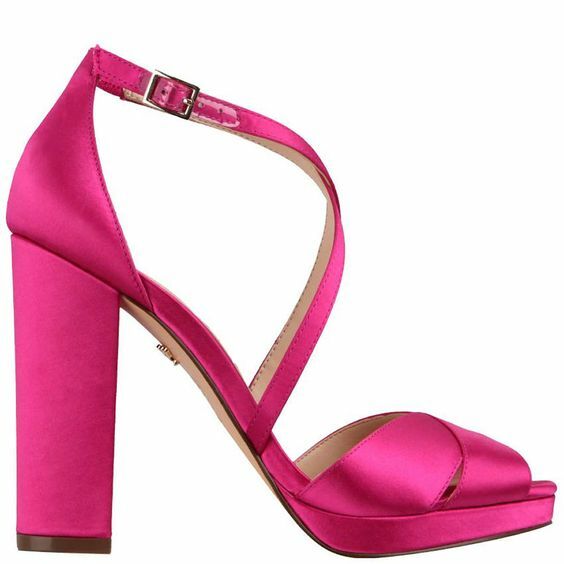 With its eye catching glitzy straps, it creates a flirty spin on the classic evening sandal silhouette. Featuring crisscrossing straps and a tall block heel, the Marylyn is a wardrobe must have. A style that’s simple and versatile for day-to-night comfort. Elegantly accent your evening or occasion attire with Rumina, the perfect peep toe pump. A sophisticated satin silhouette accessorized with a crystal brooch. Style with a tailored suit or go for a LBD dress for a polished look. The one-of-a kind limited edition leather gladiator sandal with Swarovski crystals that you will wear on your jet set adventures. This eye catching peep toe is the perfect trendy find. The unique thin wedge will be sure to turn heads. Pair it with our LANTANA bag and LOTUS earrings. A trendy ghillie-inspired sandal features a caged upper, thin kidsuede tasseled laces, and a shiny ABS heel. So much cuteness! This 2-piece pump features a scalloped edge, an intricate laser cut pattern, a dainty bow, and a printed insole that peeks out from underfoot. Sakit lutut? Heels actually tidak bagus for our knees. Lagipun, susah mau bergerak. Sama kita ni… kana marah laki sebab rak kasut inda muat sudah… Sekarang terpaksa simpan tu kasut2 dalam kotak2 ni… Gatal tangan sia mo DIY sendiri tu rak kasut… LOL.